Is Saudi Arabia Opening Up? On Jan. 1, 1996, Abdullah bin Abdulaziz became regent and effective ruler of Saudi Arabia. His 15th anniversary this week offers an opportunity to review the kingdom's changes under his leadership and whither it now heads. 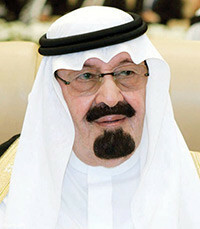 The Saudi king, Abdullah Bin Abdulaziz, 86. His is perhaps the most unusual and opaque country on the planet, a place without a public movie theater, where women may not drive, where men sell women's lingerie, where a single-button self-destruct system can perhaps destroy the oil infrastructure, and where rulers spurn even the patina of democracy. In its place, they have developed some highly original and successful mechanisms to keep power. Three features define the regime: controlling the holy cities of Mecca and Medina, subscribing to the Wahhabi interpretation of Islam, and possessing by far the world's largest petroleum reserve. Islam defines identity, Wahhabism inspires global ambitions, oil wealth funds the enterprise. More profoundly, wealth beyond avarice permits Saudis to deal with modernity on their own terms. They shun jacket and tie, exclude women from the workspace, and even aspire to replace Greenwich Mean Time with Mecca Mean Time. Not many years ago, the key debate in the kingdom was that between the monarchical and Taliban versions of Wahhabism – an extreme reading of Islam versus a fanatical one. But today, thanks in large part to Abdullah's efforts to "tame Wahhabi zeal," the most retrograde country has taken some cautious steps to join the modern world. These efforts have many dimensions, from children's education to mechanisms for selecting political leaders, but perhaps the most crucial one is the battle among the ulema, the Islamic men of religion, between reformers and hardliners. The arcane terms of this dispute make it difficult for outsiders to follow. Fortunately, Roel Meijer, a Dutch Middle East specialist, provides an expert's guide to arguments in the kingdom in his article, "Reform in Saudi Arabia: The Gender-Segregation Debate." He demonstrates how gender mixing (ikhtilat in Arabic) inspires a debate central to the kingdom's future and how that debate has evolved. Current stringencies about gender separation, he notes, reflect less age-old custom than the success of the Sahwa movement in the aftermath of two traumatic events in 1979 – the Iranian revolution and the seizure of the Grand Mosque of Mecca by Osama bin Laden-style radicals. When Abdullah formally ascended to the monarchy in mid-2005, he ushered in an easing of what critics call gender apartheid. Two key recent events toward greater ikhtilat took place in 2009: a change of high government personnel in February and the September opening of King Abdullah University of Science and Technology (known as KAUST), with its ostentatiously mixed-gender classes and even dances. The Saudi crown prince, Sultan bin Abdulaziz, 82. Debate over ikhtilat ensued, with jousting among royals, political figures, ulema, and intellectuals. "Although the position of women has improved since 9/11, ikhtilat demarcates the battle lines between reformists and conservatives [i.e., hardliners]. Any attempt to diminish its enforcement is regarded as a direct attack on the standing of conservatives and Islam itself." Meijer concludes his survey of the debate by noting that "it is extremely difficult to determine whether reforms are successful and whether the liberals or conservatives are making gains. Although the general trend is in favor of the reformists, reform is piecemeal, hesitant, equivocal and strongly resisted." The state under Abdullah has promoted a more open and tolerant Islam but, Meijer argues, "it is obvious from the ikhtilat debate that the battle has not been won. Many Saudis are fed up with the inordinate interference of religious authorities in their lives, and one can even speak of an anti-clerical movement. The liberals, however, speak a language that is alien to the world of official Wahhabism and the majority of Saudis and is therefore hardly likely to influence them." In brief, Arabians are in mid-debate, with the future course of reform as yet unpredictable. Not only do elite and public opinion play a role, but, complicating matters, much hangs on the quirks of longevity and personality – in particular, how long Abdullah, 86, remains in charge and whether his ailing half-brother crown prince, Sultan bin Abdulaziz, 82, will succeed him. Saudi Arabia being one of the world's most influential Muslim countries, the stakes involved are high, not just within the kingdom but for Islam and for Muslims generally. This debate deserves our full attention. Jan. 4, 2011 addendum: For a detailed listing of changes between mid-2005 and mid-2009, see Y. Admon and Y. Carmon, "Reforms in Saudi Arabia Under King 'Abdallah." 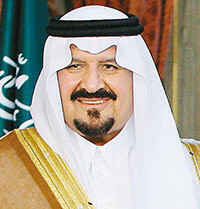 Oct. 22, 2011 update: Crown Prince Sultan bin Abdulaziz died today in New York City. He had the successor position since August 2005.